Be true to your school! 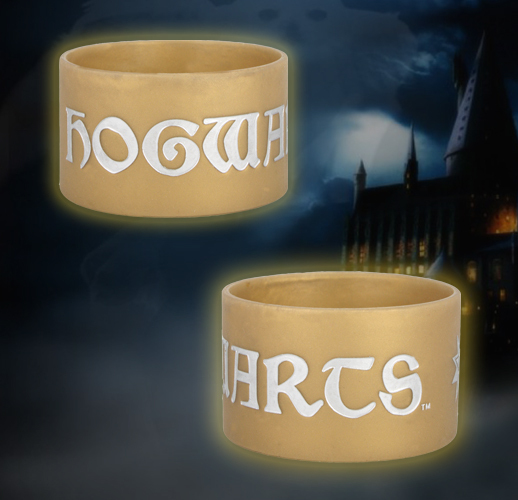 Fans of the magical Harry Potter series will love this soft silicone bracelet inscribed with “Hogwarts” and a star. Gold band with silver type measures 1.5″ wide and stretches to fit most wrists. Durable and comfortable, so you can wear it everywhere.